Indulge in one of the finest excursions in St Thomas – The Cycleboat Adventure! 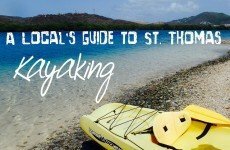 Whether you are looking for the St Thomas sunrise adventure or the unforgettable happiest hour you have ever had, this St Thomas excursion is the way to do it. You can actively cycle away your calories to the best party tunes while sipping on your favorite drink like the world famous St Thomas Bushwhacker (drinks not included - you may bring your own drinks and snacks) or choose to sit back and enjoy the sights of some of the best St Thomas attractions in a two hour span leaving you time for plenty more to do during the day! 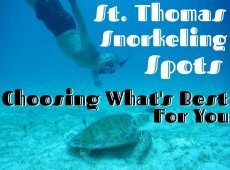 Your exclusive St Thomas excursion includes a fun, party-style cycleboat transportation showing off the best attractions to see in St Thomas like Water Island, Hassel Island, Blackbeard’s Castle and Bluebeard’s Castle. You might even be so lucky as to spot some sea turtles on the way! 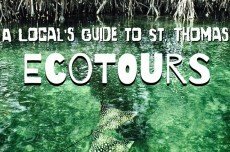 This activity takes off from the St Thomas Crown Bay Marina - D Dock, right across from Tickles Dockside Bar where you have a special discounted drinks menu for passengers of this tour and the whole tour will take about two hours. The first 15 minutes will be loading passengers onboard the cycleboat. The next 90 minutes will be enjoying the boat on water and finally the last 15 minutes will be getting your things and deboarding the boat. This public St Thomas activity is limited to only 15 passengers so make sure to book your day of fun in St Thomas now! Book now for an unforgettable day in St Thomas! Service available for hotel and vacation rental guests, local residents, and passengers from the following cruise lines: Royal Caribbean, Norwegian, Holland America, Carnival, Princess, Celebrity, Disney, Cunard, MSC and more! Please note that all availability is listed in the local, Atlantic Standard Time, and is not considered the same as “Cruise Ship Time”. Departure time: Based on your selected start time. Return details: Same as departure point. If traveling by cruise ship to St. Thomas, you will dock at Crown Bay Marina Cruise Dock or Havensight Cruise Dock. If you dock in Havensight Cruise Dock, you will be greeted by taxis at the gate. Let them know that you will be heading to Crown Bay Marina and enjoy the short drive through Charlotte Amalie. The drive usually takes about 15 minutes but can take a little longer on busy days. If you dock in Crown Bay, this tour will be just a few steps away from where you dock. If the reservation is canceled one week before the trip (7 days), a full refund will be provided. If the reservation is within one week but no later than 48 hours prior to the trip, a rain check will be provided and you will have the opportunity to reschedule. If the reservation is canceled within 48 hours of the trip, no refund or rain check will be provided. This adventure operates rain or shine! But, it rarely rains for a long time in the islands! If the weather is deemed to severe by our Captains for us to operate, you will be offered the opportunity to reschedule or the ride will be refunded. Our waivers are digital and therefore 100% paperless. 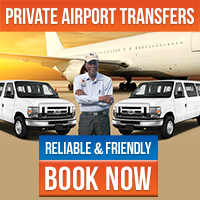 Once you book, you will receive an email link to our waiver through the confirmation email. We recommend that you fill out the waiver prior to your trip in order to save time during the check-in process.